Boxing, while to the untrained and unlearned might just be a sport of two people throwing punches at each other, it is so much than that. It is one of the few sports that test a competitor’s courage, wit, endurance, and creative thinking. Boxing is one sport that put a man’s ability to shine under existential pressure to the test. To be a successful boxer, one must possess these skills and a few more, which is what Carl Frampton can boast of considering he has reached the top of the ladder in the said sport. The professional boxer from Northern Ireland has become a world champion in two weight classes and has earned himself an award as Member of the Order of the British Empire (MBE), which was given to him in 2016. Learn more about Carl Frampton by reading below. There is not much available regarding the background of Carl Frampton, with greater attention placed on his meteoric rise to the top of the sport ever since he became a professional fighter in 2009. He was born on the 21st of February 1987 in Tiger’s Bay, Belfast in Northern Island to Flo and Craig Frampton. Nothing is known about his formal education history but the education that mattered for Carl Frampton started at Midland Boxing Club where he began to train and fight as a boxer right from the age of 11. Through his time at Midland Boxing Club, he started an amateur career that finished with a record of 114 wins and 8 losses, making him one of the top amateur boxers in the United Kingdom. His amateur days saw him win coveted championships like the Irish Amateur Boxing Association in the Senior Flyweight and Featherweight categories. Internationally, he won a silver medal for the Irish Boxing Team at the European Union Amateur Boxing Championships in 2007. After completing what was a remarkable amateur career in 2009, Carl Frampton went pro, becoming a professional boxer and launched his new status with a fight against Sandor Szinavel in the Super-Bantamweight category. He won his first professional fight via knock out and was named Ireland’s Prospect of the Year in the National Boxing Awards in 2010. His first professional title came off the back of a fight against Gavin Reid, whom he beat via knock out in the second round, securing the BBBofC Celtic super-bantamweight title. He racked up more wins domestically and regionally, winning titles like the Commonwealth super-bantamweight and defending the title successfully two times. 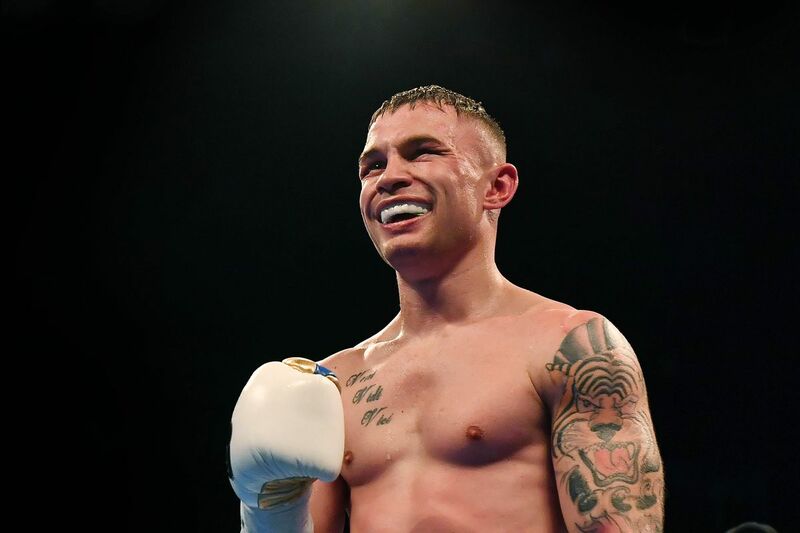 Having made his professional debut in 2009, Carl Frampton was unbeaten, three years into his professional career and the admirable record came under threat against Raul Hirales Jr, who like Carl, was also unbeaten. Carl, however, managed to hold on to his unbeaten record after defeating Hirales by a unanimous decision that won him his third professional title, the IBF Inter-continental super-bantamweight title. With a rising profile that saw Carl become the man to beat, he was faced with some of the biggest opponents in his category. He faced Kiko Martinez, who was a European Champion with his IBF title and the European super-bantamweight title on the line. Carl Frampton, after a nine-round bout, eventually defeated Kiko Martinez and won the European title, to make it his fourth professional title. The champ got his chance to win a World title in another fight with Kiko Martinez which he won again, defeating Martinez for the second time with a unanimous decision to win his first world title. Carl Frampton moved up another fight category in 2016 to the Featherweight category. He fought Leo Santa Cruz for the WBA Super Featherweight title and won via majority decision. The win made him a world champion in two categories. Since he became a professional in 2009, Carl Frampton has been one of the best boxers in the sport today. He has been able to manage a boxing record of 26 wins and 2 losses from 28 fights, winning 15 of them via knockouts and 11 through a unanimous decision. His only two losses have been via decision as Carl Frampton has never been knocked out. Through this record, he has won the WBA (super) and IBF super-bantamweight titles and the WBA (super) featherweight title. Sports is one avenue to grow wealth; Carl Frampton had fought his way through the ranks while doing what he loves doing and at the same time getting paid for it. He has won several title fights and championships across numerous categories in boxing. Throughout his career, prize fights and sponsorships, Carl has been able to build a net worth of $1.8 million. 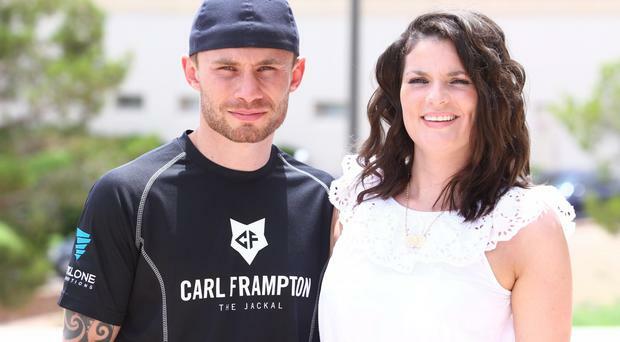 Carl Frampton is not only a winner in the boxing ring, but he has also managed to win in his personal life too. He has been married to his wife, Christine since 2013 and the couple two children, a daughter named Carla and a son named Rossa. Carl Frampton is the first boxer from Northern Ireland to hold two world titles in two weight classes. He has been nicknamed “The Jackal” obviously because of his bullish fighting style. Carl was once paid $1 million for a fight against Santa Cruz in 2017 which also turned out to be his first loss as a professional fighter. The Irish boxer, Carl Frampton is 5 feet and 5 inches tall.